As the mobile device sector demands smaller, cheaper and more functional IC packages, a technology gap has emerged in the IC substrate for feature dimensions 1-10um whereby conventional IC manufacturing methods are too expensive, and conventional PWB manufacturing methods cannot achieve the resolution required. “Laser Embedded Conductor Technology” enables conductors to be formed within the surface of the dielectric material, and thereby overcoming some of the manufacturing challenges associated with the technology gap. Higher resolution than LDI, enabling the total layer count to be reduced, thereby reducing the size and cost of the package. Wiring and vias made in a single process. Near padless vias allow more routing space, further reducing the total layer count. The reduction in the conductor path length improves signal integrity. Embedding conductors improves surface planarity within a multi-layer substrate, reducing warpage issues. No requirement for photo-chemistry or blind-via drilling equipment. Superior Cu adhesion due to “3-point anchoring”. M-Solv’s proprietary technology “Scanned Mask Imaging” (SMI) allows direct patterning and ablative removal of materials down to a resolution of a few microns. 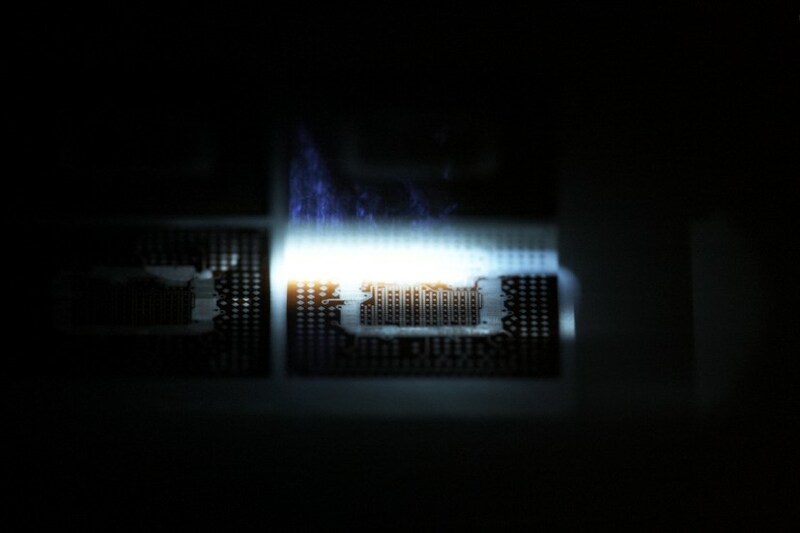 A photo-mask is raster scan illuminated by a UV multi-mode solid state laser. 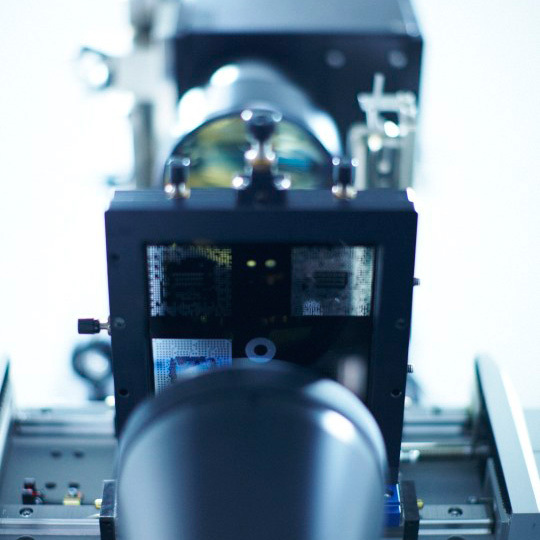 A high resolution projection lens delivers a de-magnified image of the photo-mask to the substrate, where the energy is used to modify the target material. 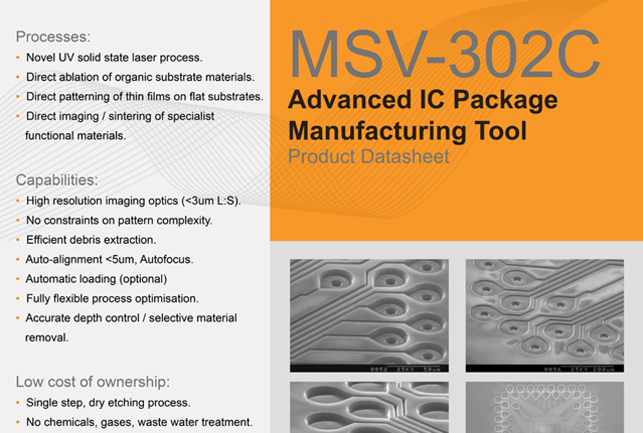 The MSV-300 is a high volume manufacturing machine designed for high resolution Laser Direct Ablation of organic substrates. The ablated structures enable embedded circuitry required for next generation IC substrates and interposers. Click here to view.